A new widget (the 20th! 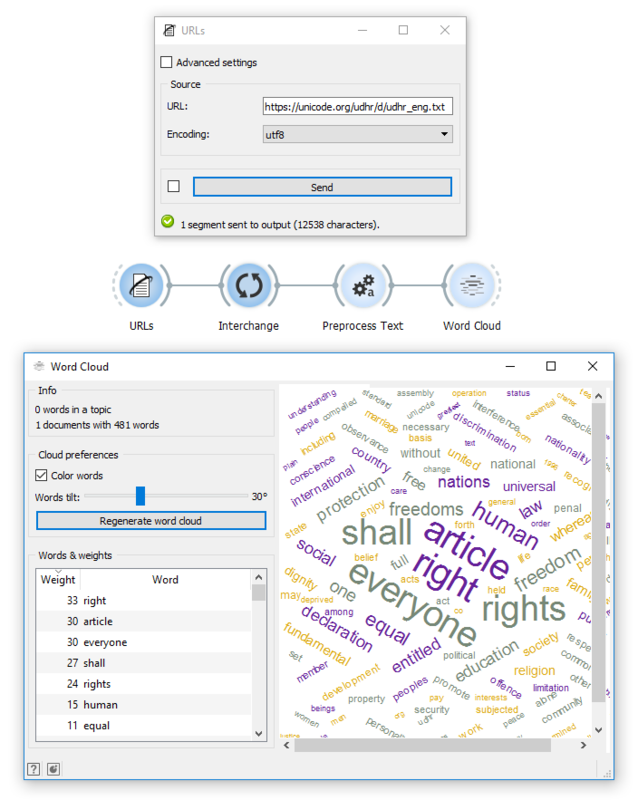 ), has been included in Textable v3.0.1. 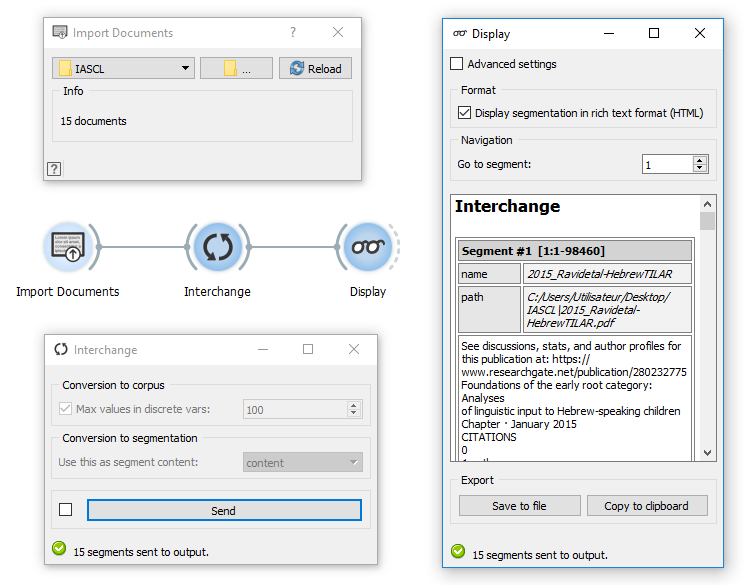 Interchange lets Textable users operate on sources included in Biolab’s Text Mining add-on, and use its analysis and visualization widgets (word clouds, topic models, etc. ).